Herald Press (VA), 9780836196269, 270pp. "I promise: you will be transported," says Bill Moyers of this memoir. 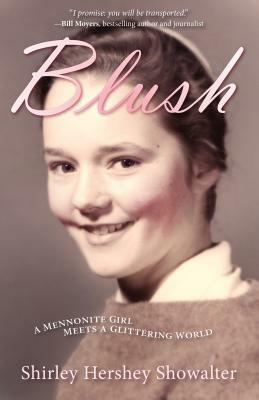 Part Mennonite in a Little Black Dress, part Growing Up Amish, and part Little House on the Prairie, this book evokes a lost time, in Lancaster County, Pennsylvania, when a sheltered little girl named after Shirley Temple entered a family and church caught up in the midst of the cultural changes of the 1950"s and '60's. With gentle humor and clear-eyed affection the author, who grew up to become a college president, tells the story of her first encounters with the "glittering world" and her desire for "fancy" forbidden things she could see but not touch. The reader enters a plain Mennonite Church building, walks through the meadow, makes sweet and sour feasts in the kitchen and watches the little girl grow up. Along the way, five other children enter the family, one baby sister dies, the family moves to the "home place." The major decisions, whether to join the church, and whether to leave home and become the first person in her family to attend college, will have the reader rooting for the girl to break a new path. In the tradition of Jill Ker Conway's The Road to Coorain, this book details the formation of a future leader who does not yet know she's being prepared to stand up to power and to find her own voice.